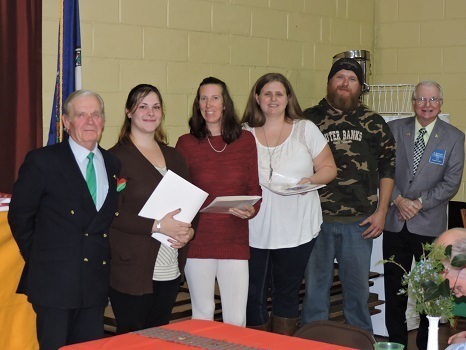 The families and guests of the Jefferson VA Ruritan Club celebrated the installation of the new club officers, and the initiation of four new club members. 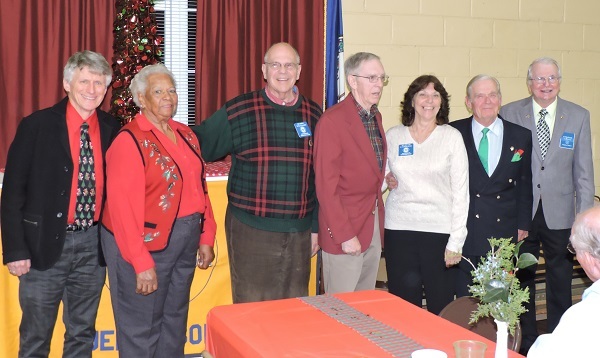 The celebration was held during the club’s December 2015 Christmas dinner/meeting at the Jeffersonton Community Center in Jeffersonton, VA. Al MacDonald, the Rapidan District’s Zone Governor for the Jefferson VA Ruritan Club performed both ceremonies. The 2016 Jefferson Ruritan Club officers installed were: David Rowe, President, Perry Cabot, Secretary, Evelyn Caroline, Treasurer, and directors Paul Oesterreicher, Berthel Watkins, and Buddy Williams. The new members installed were: Jennifer Caroline, Betsy Dovell, Tamara Dovell, and Troy Dovell. This entry was posted in Celebrations, Events, Fellowship, Food, Local Clubs, Local Ruritan Clubs, Membership, Rapidan District Cabinet and tagged Jefferson (VA) Ruritan Club, members, new members, new officer installation. Bookmark the permalink.